There's little remaining to say that hasn't already been said about The Legend of Zelda: Ocarina of Time. A true masterpiece and a genuine game-changer; what was once revolutionary is today simply one of the greatest action/adventure games ever created. 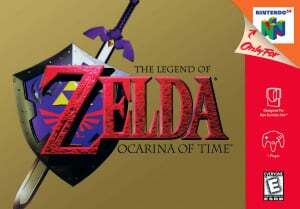 Now available to download from the Wii U eShop, this latest release ensures there are now two options available for Wii U owners interested in re-visiting N64's Hyrule - either the Wii Virtual Console version (with Wii U in Wii mode) or this latest Wii U release. Additionally, if you do already own the Wii version on your Wii U you can 'upgrade' for a discounted price. There are a few notable differences between the two, so please read on. Note – some of the below applies to the PAL versions only. For Wii U in European territories, Nintendo has made the decision to release the 50hz PAL version due to the language options, which are English, German and French. While it's understandable from an accessibility point of view, it's still a slight shame after playing Super Mario 64 in all its NTSC 60hz glory. To be perfectly realistic though, unless you're a devout speed runner (in which case you probably have other options anyway) or you're incredibly pedantic, the slight speed loss doesn't actually matter too much in this particular game. Thankfully the screen has been optimised for the Wii U iteration and everything is presented in beautiful 4:3 ratio, full screen. The Wii version has small black borders at the top and bottom, so in this respect the Wii U version is a touch better. However, there are noticeable differences regarding the overall visual delivery. You may have noticed there's been a fair amount of online debate recently around how the Wii U version looks much darker compared to the Wii / original version. Running both together (through a Wii U) it's immediately clear that the brightness and contrast is set differently between the two. Yes, it is darker on Wii U and it's quite shocking at first, especially when making comparisons. However, play for an hour or so and you'll soon forget about it - it's genuinely not an issue. Ocarina of Time has always been rather grungy and dark-looking anyway, so ultimately it comes down to a personal choice. Here's a quick tip - try adjusting your GamePad to the top brightness to see if you prefer it that way. Additionally (although it may be our old and wise eyesight) we thought the Wii U version was possibly running a touch smoother and sharper than the Wii version, but there's not a lot in it. Both versions look a darn sight sharper than the N64 ever managed to output. So what else do you need to know about the Wii U version, specifically? You can of course play the entire game on the GamePad screen, which is a huge plus point over the Wii version (while you can display the Wii screen on the GamePad, the control inputs don't work). Additionally, the rumble feature works, which makes the secret-assisting 'Stone of Agony' actually usable again; on Wii it didn't operate due to the Classic Controller not being equipped to rumble. Rumble in general works much more naturally on a Wii U Pro Controller though – the GamePad vibration effect often feels like your controller is about to fall over and die. Virtual Console save states really come into their own when tackling long dungeons due to the in-game save option returning the player to checkpoints upon re-loading. It's nice to be able to literally quit whenever and wherever you like and not lose even a smidge of your progression. The controls feel fine using any of the three options (GamePad / Pro Controller / Wii-remote + Wii Classic/Pro controller) and any reports of lag are over-played. If there is lag, it's just not of any consequence to a normal play though. You may wish to re-map some of the buttons; for example we found swapping over the functions of ZR and R to make for a much better experience. In many respects, it's much more comfortable once configured than it ever was, even more so than an original N64 controller. In a nutshell, if you don't own either version, we'd recommend the Wii U iteration without question; the added ability to play on the GamePad combined with the enabling of the rumble feature gives it a slight edge, even if it is a little darker graphically. So what about the actual game? It's easy for a newcomer to take a look nowadays and be derogatory at how old and smudgy everything looks, especially compared to the more modern Zelda titles. But the story, the charm and feeling of immersion is all still present and correct. Indeed for all but the most miserable of gamers this is still essential gaming and will always remain so. 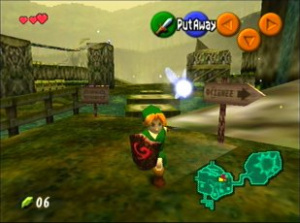 To discount Ocarina of Time for reasons such as 'the world isn't open enough' or 'the controls are too restrictive' is really missing the point; this is how it's meant to be and it's perfect BECAUSE of those design decisions. If you're the type of person who enjoys getting utterly lost in a beautifully crafted world, surrounded by wonderful creatures and enchanting characters all woven together in a timeless tale of good and evil AND you're prepared to appreciate the artistry involved within the limitations of the source hardware, you shouldn't hesitate in downloading this right away. Ocarina of Time is practically the blueprint for how to 'do' 3D adventure games properly. The revolutionary controls and targeting system, the camera work, the pacing… We could go on, but you get the picture. It's possible the Wii U version is the best home console version yet (not including the incredible 3DS remake), because while it may have a few controversial points (mainly with regards to brightness) the other additional features complete the overall package in ways that even the original didn't manage. So is the Legend of Zelda: Ocarina of Time deserving of a perfect score even today? It's definitely as captivating and magical now as it's ever been; indeed re-visiting it is an instant reminder of how great it really was/is. When all you want to do is continue playing a 17 year old Nintendo 64 game for hours on end, you know it's still got it. One of gaming's perfect experiences, The Legend of Zelda: Ocarina of Time is an adventure to be cherished and not to be missed. I think the original N64 version had slight button input delay. Possibly related to the lower framerate, if my understanding is correct. It ran at about 22-25 FPS if I recall (3D runs at 30). Any additional lag people may experience is probably just special processing effects on newer TVs. Just disable them and you should be fine. I have the Wii U virtual console game and the 3DS game. I much prefer to play Zelda on the big screen, but the 3DS version's improvements give it a big edge in my opinion. So does it stay true to the original where Ganon coughs up red blood, and not green like in all the later versions? Is it better than the 3ds version ? In a world that holds this game so dearly to its bosom its hard to give it anything else. Worth 10 our of 10 for me, ever since 1998, no matter what the internet says. I guess the darkness is set that way to get rid of any smudging from the input on your tv, you can of course turn it up but I would have thought 60 hz would have been good. @gaby_gabito Agreed. The 3DS versions of OoT and MM are the definitive versions IMO, unless you absolutely hate playing on a portable. The FPS change alone, while it sounds small, makes the gameplay more fluid and faster. And not so much that it feels sped up, but that the original felt like it was slowed down from what it should have been. "So is the Legend of Zelda: Ocarina of Time deserving of a perfect score even today?" The game aged really badly. Yeah, it was quite an achievement way back, but we don't have 1998 anymore. My favorite game of all time, it gets a play through at least once a year. Its age and flaws only make it better as time rolls on. @Tsurii Hey, I'll agree that OoT is a bit overrated--it is a big step down from ALttP in a few areas--but even I admit it's a 10 out of 10. It's a real landmark title. @Dr_Corndog I won't deny it was a pretty huge thing back then, but if someone has to review it today, I just don't see it being worth a 10/10 at all tbh. I think the VC release is the 1.2 version of OOT. So, no. @Tsurii That's the problems with ratings in general, it's all relative. At the time yes it was easily 9/10 or better. But you can't really rate it the same way today because it's obviously going to be compared to what came after it, including games that took inspiration from it. You can still call it a 10/10 game or whatever you'd rate it as, but it's important to qualify that statement and note what you're comparing it to. This is a Citizen Kane of gaming. 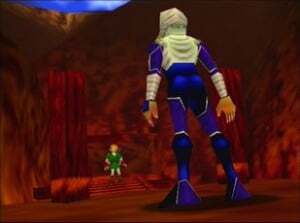 OoT usually gets 10/10 because when you compare it to similar games before it....THERE WASN'T ANY! So please don't take it for granted and compare it to things today! I absolutely love this game, but holy crap. How many times is Nintendo seriously going to release this?! Great game, I'd still rate it a 10/10 today. If I didn't already have the 3DS version, I'd buy this instantly..
A 10 out of 10 is a bit much, isn't it? Let's admit, oot has aged as well as milk. This game have so many problems that it doesn't even deserve to be called good. Oot, at least in my opinion, is just a pain to play in my opinion. The game is just slow and boring, and just an overall disappointment. Maybe it because I never owned a N64 as a kid (I still had a Snes), so playing this on the Gamecube after playing Lttp some many times just made me feel lie the game was over hyped. Oot is a best decent and at worst near Sonic 06 levels of bad. I already have it on 3DS but is it worth getting again to play on the big screen? I see the Everybody Else Agrees So They Must Be Wrong hipsters are out and about. @blackice85 "That's the problems with ratings in general, it's all relative." Reviews, by definition, are relative. I love OoT and would easily classify it as one of the best games ever made, and probably my favourite as well. But I was hoping to see some N64 VC titles that haven't been released as much as OoT. You can play OoT on all of the consoles released by Nintendo since the N64 in some form or another. It would be nice to have them release something else thats less readily available. It's really difficult to properly judge these old games when they're seeing a 1:1 re-release. Judging it for it's time, it was a major groundbreaker that introduced many little ideas that are almost basics for many adventure games that followed it. Not to speak of the unique atmosphere and sheer size, which was hella impressive for an N64 game. But this version came out now, almost 20 years after the original release, so it's only fair to judge it by this periods standards, and by todays advances, it's just not good. Not quite terrible, but after having basically every Zelda game after Ocarina of Time improve mechanics and aspects that were part of this, it's almost impossible to give it a passing grade anymore. And that's what irks me so much about this 64-bit nostalgia. 3D graphics age horribly, and many N64/PSX games show that with blocky, muddy, and pixelated models, not to speak of the low polygon count. By comparison, 2D graphics are, if done well, very sharp and tend to persist much better, because the clear design outlines keep their shape very cartoonish. That said, if people still like it, people still like it. No fan is obligated to be rational, and that's okay. @JesWood13 - As long as we keep buying, they'll keep selling. I'm yet to give OOT a go. Was a playstation 1 gamer during the N64 era so I never played it back in the day. Busy finishing off Wind Waker HD atm and then I'll be all over OOT. In my opinion this is the second worst 3d Zelda. 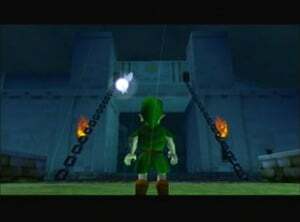 It's still a great game, like all 3d Zeldas, but it's plagued by many terrible design choices, such as Navi, the Water Temple, ect. Personally, I think this version is obsolete now that the 3d version exists. At least in this game I can go to the next dungeon without doing an hour or more worth of filler, unlike the abomination that was Twilight Princess. Still a 10 for me. It´s not just nostalgia, I think the game has a perfect balance and a special charm compared to later Zeldas. The game is not too short nor too long, it has a good difficulty, great music, nice art design, good story... it has everything! I compare it to Wind Waker and although I liked it, WW was extremely easy and sailing was a bit boring. Twilight Princess had a very slooooww start, the art design was horrible, music forgettable and the game was just too long for it's own good, not to mention it was as easy as Wind Waker. Skyward Sword had some good ideas, great graphics and some memorable music, but some design choices, weird characters and hand holding were for the worst to me. As my first and favorite Zelda game I will definitely urge all that haven't had the chance to experience this classic to do so immediately. I do recommend the 3DS remake over this though as it is superior in nearly every way. All these comments comparing this game to a game from this generation of systems are really starting to make me shake my head in disbelief. It makes absolutely no sense to compare a game that is nearly 20 years old with a game that has come out semi-recently without realising that said game could have very well been influenced by OOT. Games are made based on the technology that is available at the time and from what I have seen the Zelda series like any other series has gotten better with better technology being utilized for the games. Console hardware has a big factor on the limits of what designers can do for games, and the Wii U Zelda will show us what can really be done for this series. @Tsurii I agree with you. It's easy to say that the "greatest game of all time" is overrated. But in this case, it truly is. COLD i cant see how this gets 10/10 in 2015 crawling at a 50hz pace. So is this any good or what? I have paid for OoT 4 times now. shakes fist (holding dollars) at nintendo. I understand the argument about whether OoT still deserves a 10. Probably not, it has aged, but I think it is still one of the highest ever scoring on metacritic with a score of 99. For those that don't have any nostalgia for this game, it really was huge, in its time, there was nothing quite like it, Mario 64 was amazing but again had nothing on the open world exploration and nothing on the phenomenally huge boss fights. This game deserves to be remembered as one of the greatest, and genre defining, for its time. This isn't its time. Ocarina of Time has been released in almost every single platform Nintendo created since N64; they got so much money out of it that I think it should be called public domain and be distributed for free already. That aside, it's a fantastic game that anyone who enjoys gaming should play. And I believe fans should give newer Zelda titles a chance to shine. They improved in many different ways, less inovative than moving to 3D, but still a lot of fun. I'm probably buying this, even though I own the 3DS version, as well as the Wii version, and the original N64 cartridge. The only regret is that this version probably doesn't have Fire Temple's original chanting either. I really miss that Muslim-esque chanting. @Dpishere Even by N64 standards I would have thought this would be be bad when I was younger. Sure it graphics were good looking, but that novelty just wears off after a while. There was better games for the PS1 and N64, and it really shows. I mean it was release in the same era Majora's Mask was release, one of the games that I would consider to be my favorite games of all time. @Tsurii It still plays wonderfully, though. I did play it back in 1998, I will admit, but only through the first three dungeons. I didn't actually complete it until after beating Wind Waker, myself. And though it has aged in some respects, none of them are a significant detriment to the great game that's still there. I rank OOT in the same category as Final Fantasy VII in the sense that while they were major trailblazers in terms of moving their genre forward and in moving their respective franchises into 3D, they have aged poorly, especially in the sense that other games have built on their foundations and vastly improved on them. Not to say Ocarina of Time is a bad game by modern standards, it holds up well. It just that everything that made it so innovative and special back in 1998 is standard not only in other modern games, but every 3D Zelda that followed it. The other issue that hurts this VC release is the fact that it got an awesome remake on the 3DS that blows the Nintendo 64 out of the water in terms of controls, gameplay, graphics, and content. If you don't own a 3DS, then the Wii U virtual console version may be worth the money. But why buy this if you have a 3DS? OOT 3D is the superior version. @Chaoz Maybe it is because I have played OOT at least 10 times all the way through but I think I may agree with you about there being better games such as Majora's Mask. Jet Force Gemini is a personal favorite of mine along with Banjo-Kazooie and Gex 3 Deep Cover Gecko. @Caryslan I will buy this for £1.79 rather than £40 on 3ds ta! I wonder when they'll just start doing Copy paste for this game. @andyg1971 Shoot, I made a typo there! I meant to say Content. Had to say I'm not that impressed when playing this on 3DS for the first time, to me, ALBW is much better. That said, I still enjoyed the game. It's a bit overrated for me, though it's easily an 8 if I had to give a score. Haven't played Majora Mask yet, my 3DS catridge didn't work for some reason. A G.G Series DSiWare game was just given a 9/10 on this site. Is it in any way comparable OOT? A game is reviewed in comparison to other works of its time, genre, platform, etc. Shall we go back and re-score every classic console game in comparison with today's games? READ the review, watch some gameplay video online to decide if the game is right for you, but let the score stand for what it meant in its original context. lol, no. Skyward Sword is the worst 3d zelda game (albeit, it has one of the better versions of Zelda and Link). Someone's been watching too much egoraptor. To be honest I'd rather pay a bit more to have an up-scaled port of the 3DS version; that's the version that should be considered definitive (at least until there's an even better remake). The N64 original should of course be kept around, but perhaps as a bundled extra with the Grezzo version. Sounds sacrilegious, but the remake really is a better version of the same game. As for why Ocarina might be the best 3D Zelda? Majora's Mask had better sidequests, Wind Waker had better swordplay, Twilight Princess had a bigger world and Skyword Sword had better dungeons...but Ocarina of Time was very strong in all those areas; a jack of all trades that mastered them all, and it somehow managed to get the best soundtrack WITHOUT using the classic Zelda theme! I've already got 5 versions of this game. I don't need another. I was in 6th grade when this game was new. I played it and Final Fantasy 7 all summer. It is a must own title. Graphically it hasn't aged well, and neither has FF7. However, any other complaints are just silly. I played the devil out of StarFox 64, Super Mario 64, and Zelda OoT... And one thing I can praise Nintendo on is that the controls and gameplay on all those games were superb. The 64 bit graphics at the time were superior to many Playstation games. Though, I always favored the 16-bit sprites and 32-bit RPGS that looked like "better" SNES games. Theres just no way to hate on Ocarina of Time, I'm almost 30 and still haven't out grown it. Sure, its old now. Times have changed and things have been perfected farther, but jump in a time machine and imagine OoT versus other 3D games of that time. It was mind blowing. You've got to remember in context of this Wii U VC release, the 3DS version is out. We're used to playing this game a little faster and a little prettier by now. They really should patch in C-Stick camera controls on OOT - that's the only thing making it feel dated to me. Especially after Majora's Mask 3D. Ocarina's a fine game and deserves all the praise it gets for being a pioneering trailblazer, but judged on its own merits there is scant little to enjoy that hasn't since been done better, both inside its own series and out. Even considering that nothing should ever be conferred such a lofty title, a man can do little but cringe at these incomprehensible proclamations of "best game ever." This denotes only a lack of historical gaming knowledge, or a surplus of deep-set nostalgia, or both. Or, err, subjective opinions I guess. I think this game represented a pivot point for the game industry as a whole, but I disagree with a 10/10. While it may be that we must take into account the period and context in which a game was released, I believe games should be rated purely on their merits alone relative to the modern game industry. Yes, OoT was a huge step forward for adventure games and 3D gaming in general, but it has since been surpassed and improved upon by games both inside and outside of its own series. I downloaded this game once again today and was immediately greeted by lackluster graphics, a frustrating camera, and occasionally archaic design. I'd say that while this was a 10/10 when it launched, it's about a 7/10 now. For me it's just perfect, the only zelda game I have ever finished (I'm not very good at RPGs). Does anyone notice severe control lag on this version or is it just me? Why are people saying this should no longer be a 10/10 today and saying its dated? For old games you have to rate the graphics within the context of the technological capabilities of its initial release, and back in 1998 this was gorgeous to look at. It's also still massively enjoyable and lost none of its charm. If this gets a 10/10, the 3DS version should've got an 11/10, especially if you play it on a New 3DS! This game essentially made Zelda what it is today. Yes I know ALttP was also revolutionary, but the atmosphere and immersion of this game was unlike anything else at the time. It balanced gameplay with story sublimely, and whilst it may be a little rough around the edges by today's standards it still holds up very well. It's a great game... but still no chrono trigger! The review is in context of the source hardware - if it came out today, it would be a different product. So you need to appreciate the technical artistry from an N64 point of view, then rate the game as a game. Not how I think it compares with other games - of course the 3DS version is 'better' in some regards, but it doesn't make the original worse. If all games were reviewed against each other, there would be a single best game and you may as well play no other games! Why did I rate it a ten? Because I love the game. (Not because I thought it was a default score that had to be given). It's a wonderful piece of work and I'm thoroughly enjoying playing it again. We should be positive about great games, and there are plenty of them, especially on Nintendo consoles. Another difference between the Wii and Wii U version for people to consider if they are buying the game for the first time is the price. On the Wii Shop channel N64 games (barring imports) are £7.00, whereas on the Wii U eShop they are £8.99 . You gain rumble, Miiverse posting and proper off-TV play, but is that worth the extra £1.99? It seems not many are disputing OoTs greatness, just whether the game gets scored in its original context or the current context. I don't see the point in re-reviewing it if it's just scored as per the original review. @timp29 the review focusses more on what's different about the Wii U version specifically in terms of features etc. For anyone new to Ocarina,Without my nostalgia goggles on this version is a 8/10 the 3DS version is 10/10. When the 3DS version is £39.99 and the VC is only £8.99, it still gets a 10/10 IMO. I don't know of any other budget eShop game that is as engaging. Easily 20 hours to an average gamer (including collectables). The Dungeons / puzzles are still fantastic, regardless of the graphics or framerate. On the Wii Shop channel N64 games (barring imports) are £7.00, whereas on the Wii U eShop they are £8.99 . You gain rumble, Miiverse posting and proper off-TV play, but is that worth the extra £1.99? You have to pay £1.79 to upgrade your N64 game from Wii to Wii U. So its actually a little cheaper to download on Wii first then upgrade to Wii U. My face game of all time but I never played the PAL version. Anyone know why the NTSC and PAL versions are different? I can't imagine playing a different version! @Tsurii What game would you give a 10/10 to? Im intrigued. This game will always remain a 10/10 for me. For me it was Link's Awakening that started my love for the Zelda franchise, since I was only 3 years old at the time of ALttP's release, so I didn't own it right way when it release back in 1992. I actually got a Gameboy before owning a SNES, which was a console that blew my mind when I [was on holiday and] first saw a Donkey Kong Country 'demo-stand' at an airport in the USA when I was 6 years old (I live in Europe). Admittedly ALttP has probably stood the test of time better, as is the the case with most 2D vs 3D titles, but to me OoT will always be the first time I truly felt like I went on an epic adventure in a video-game. I wonder what it would take for this game to not be a 10/10, meaning if there'd be some advancement in gaming that deems this too old, ugly or unplayable on the standards of the future. @GrailUK Haha, they certainly won't find one here! Yearly franchises can only end in oversaturation of the given series. Look at Assassin's Creed. Up till AC3 it was a respectable series, now it's just another soulless open world action game. Empty, colorless world, twitchy controls, lack of secrets, terrible game map, camera issues, strict progression, fiddly side-quests... I think this game is pretty well superseded and borderline unplayable. No, I'm not 'trolling', I'm being sincere. And this release is so you can upgrade your Wii VC to Wii U.
I feel like Twilight Princess and Skyward Sword are steps away from the classic Zelda formula. And not in a good way like Hyrule Warriors. Too much focus on story and running errands / collect quests. @Eight-Bit-Yoshi borders on the sides buddy if playing on a widescreen TV. Same on gamepad. "But this version came out now, almost 20 years after the original release, so it's only fair to judge it by this periods standards, and by todays advances, it's just not good. Not quite terrible, but after having basically every Zelda game after Ocarina of Time improve mechanics and aspects that were part of this, it's almost impossible to give it a passing grade anymore." Wow, this part seems harsh for a game that will only just age. What are you going to say about it 20 years from now? I dunno, I just feel like it's an unnecessary stance to take. That'd be like saying Jaws isn't a good film by today's standards because the shark looks fake. Everything is a reflection of its time; I would rather Jaws remain untouched, rather than pull a George Lucas who keeps tinkering with the old Star Wars films. Atari games with basic sprites were also the first of their kind too, and look pretty terrible by today's 2D standards, but I'm not gonna knock good ol' Pitfall because the graphics look bad. It's a reflection of its time, so I'm not going to judge it by today's standards, because it's an unfair thing to do. Besides, they already remade it for 3DS, so how much do you really want Nintendo to tinker with it? Ah, a game that was innovative and amazing for its time, that is now a shallow mess overshadowed by countless other 3D games and even most other Zelda games. Nostalgia keeps this boat afloat unfortunately. @MoonKnight7 If Jaws was to be brought back to theatres unaltered nowadays, why should it get a free pass against the competition? There's no reason for that, since it must be able to convince on its own at the time it's being presented - but Spielberg didn't do so, instead making a remaster to show in theatres at some point, and the improvements showed that they knew that the movie is too outdated to be presented next to much newer movies without any improvements. Meanwhile, Pitfall was never rereleased at all, instead growing into an actual series (which suddenly ended) of games that did their best to improve. I don't see any point in constantly rereleasing the N64 Ocarina of Time. 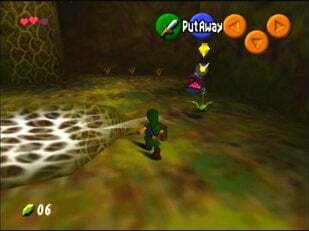 While the remakes at least acknowledge that the original N64 quality is insufficient by now, the VC release doesn't, instead relying solely on its reputation. Nintendo could've chosen the (slightly) remastered GameCube version, just to admit that they already have numerous superior versions of this very game, but they knew that wouldn't work as well as the nostalgia factor of the original N64 game. From a technical standpoint, a Virtual Console release is simply a port. And every other port has to be able to convince in the face of its competition, as well, so I see no point in making an exception for Ocarina of Time. @GotchaForce4 PAL version plays slower and visuals are possibly more blurry because of 50hz instead of 60. Nintendo missed a HUGE oppotunity NOT releasing the 60hz version globally! Ooh, rumble is back! That's why I didn't by the Wii version (had the GC disk with Master Quest). I also have the 3DS version, but I'll probably get this if it goes on sale. I prefer to play it as I remember it. On a big screen with cubes. I just can't justify spending full price on buying this game AGAIN when I can play it on the 3DS. Now, if Majora's Mask hit the VC... I don't have the 3DS version of that, and without a Master Quest, it's not really worth me spending $40 on a retail cart to play that title. Still the best Zelda game ever released. I don't mind the "outdated graphics" as I prefer low poly 3D games and pixel games from the good old days. Most people seem to prefer the eye candy of graphics today, which I find horrific. Anyways, it would be nice if Nintendo set the resolution at 720p and offered anti-aliasing if they are going to keep selling it. Nintendo emulators make this game look much better. Why can't Nintendo do that? I played Ocarina through again last summer on the Wii VC and found it just as every bit stirring, engaging, even emotional as when I first played it way back in 1998. 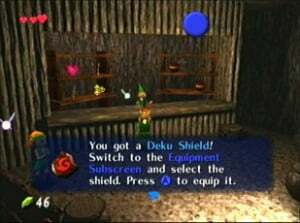 One thing that annoyed me though was the classic controller button layout made it a nightmare to play some of the ocarina songs. But you can't have everything. 2. Teh graphics of the N64 is as good as this game can ever get. 3. Nintendo ported this to the Gamecube. Why? Nintendo ported this to the 3ds, Why? Nintendo ported this thing again as DLC...............Are you really that dumbfounded? Please tell me no? 4. Again why port this game when you could make an new Zelda 64 game. IN FACT WHY CAN'T NINTENDO FINISH THE PORT OF THE THREE CANNED ZELDA 64 GAMES. C. Zelda 64 ( Dungeon Maker for the DD64 . Dumb-dumbs need to get the clock ticking in there skulls and just release these games instead. Nintendo could even release. D. Zelda GB Wind Fish/Dreamy Island in 3d. Why??? because the content of the Majoras mask is extra content that references this game. Even ballad of the windfish is in this game. They could do it, why not do it, and revamp of Zelda GB/DX with extra colorful dungeons and extra colorful bosses. Including printable stickers mail-in orders. Love this game :3 Bought it on eshop because I wanted to see how the N64 version was. Didn't age well but its still fun!!! Came here saw the 10 and smiled. Expected nothing else for the #1 greatest game ever developed. One cannot own this game enough times! does seem inexplicably unfair for the majority of people around the world! Anybody else get a crappy picture using the Wii U VC? The picture is all glitchy and I use the same tv tuner for skyward sword. And the picture on Skyward Sword is a lot better. In a week or two I will be getting Ocarina of Time for the Gamecube. That one has way better picture quality.